Upland Therapist: Deborah Vinall - Therapist 91786. Deborah Vinall, MA, LMFT, is licensed by the State of California Board of Behavioral Sciences as a Marriage and Family Therapist (MFC 45229). She has been working in the mental health field since 2003. Her experience includes working in an institution for the state's highest designation of Severely Emotionally Disturbed (SED) children, group homes for male and female adolescents, and a community-based program for "at-risk" children and adolescents and their families or foster family caregivers. Each and every one of these children, adolescents, and families had suffered severe trauma of at least one kind, and Deborah gained experience and became skilled in working with survivors of sexual, physical, and emotional abuse, divorce, bereavement, and separation from family members, as well as dealing with severe behavioral problems ranging from assault, drug use, sexualized behaviors, verbal aggression, property destruction, and more. In addition, Deborah has worked with couples and adult individuals in outpatient clinics, and has taught dozens of premarital classes for engaged couples and those contemplating engagement. For nearly a decade, Deborah has been providing counseling services through her private practice, Tamar Counseling Services. Deborah's passion is for helping traumatized individuals move from the status of "victim" to "survivor", gaining confidence in your inner strength and developing your personal resources of strength and support while processing and diffusing the power of your past. Deborah has a special gift for being able to look past the presenting negative behaviors to the underlying hurt, helping you to give up your destructive patterns without attacking or condoning. Deborah practices EMDR in the treatment of trauma and depression, and approaches counseling / therapy from an attachment perspective, which basically means looking at your interpersonal connections and hearts' longings as core needs and as the basic starting point. Deborah believes strongly in the need for interdependence as well as developing personal resiliency, while recognizing the terror that the idea of interdependence may hold for those that have been deeply wounded by others. 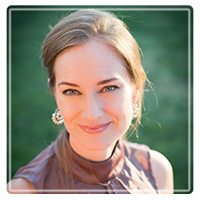 Depending upon factors such as age, presenting problem, and whether working with an individual or family / couple, Deborah may also incorporate techniques such as cognitive-behavioral, art therapy, narrative work, and play therapy. Deborah was raised in Canada and has lived in Japan, Arizona, India, and California, and enjoys traveling to gain an appreciation of diverse cultures. She lived and worked among the military community for 3 years, providing a special knowledge and understanding of the specific strains of military family life. Deborah has traveled and provided relief volunteer work throughout Africa, Asia, North and Central America, and Europe. She currently loves living in Southern California with her husband of 19+ years and their son.